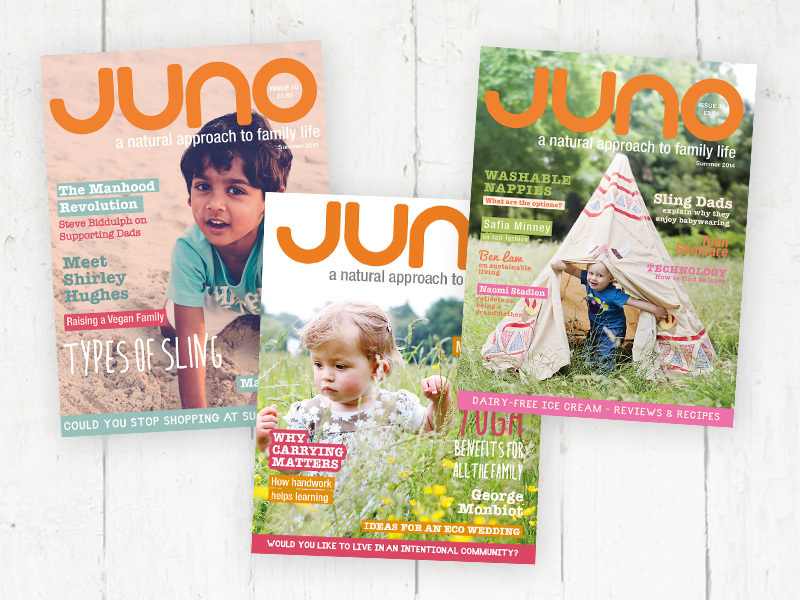 September may see the start of a big adventure for some of you as families – one that will last for many years, have ups and downs, but be full of learning, development, fun and life lessons. It could be your first experience of education or you may already have a child or children in school and consider yourself an old hand at this process. Through my role as an early years teacher, I am fully aware of parents’ investment in their children’s education, but each year it is apparent that parents are often unsure of what to expect when their child starts school. 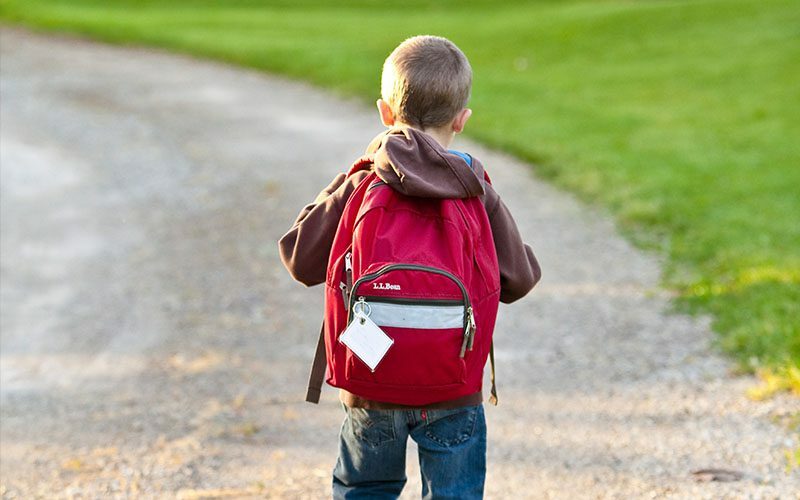 I believe it is really important to help parents moving into the big phase of starting school with the first-day ideals and all aspects of school life, particularly in the early years, so I have compiled a short list of things that you could do in the lead-up and over the first few days and weeks to help the transition be as smooth and enjoyable as possible for all involved. 1. Explain the routine of the first day and consecutive days clearly and honestly. Every school will have a different approach, but all children starting in reception will have a settling-in process. If you are not already aware of what this entails, make contact with the school for clarification. You can then talk with your child about how it will work. Children like to know ins and outs and hows and whys. Explain that you (or Dad, Grandma, Uncle, Nanny…) will take her to school; if allowed, you will come into class with her; once she is busy playing with all the fun resources and making new friends, you will leave but will return in a few hours, at 11am or 3pm or whatever time it is at her school. Compare this timing to things she is familiar with, such as the length of her favourite movie; going to the swimming pool, having her lesson and coming back home again; how long she used to stay in nursery; and so on. In this way, she will feel content knowing when you will be back at her side. Provide the information in a light and casual tone. If there is anything you don’t know the answer to, explain this to your child and respond with, “Oh, I’m not sure, but we’ll find out together,” or, “I’ll ask X’s parents – they might know.” In this way you are answering her honestly and making her aware that you don’t know all the answers either. 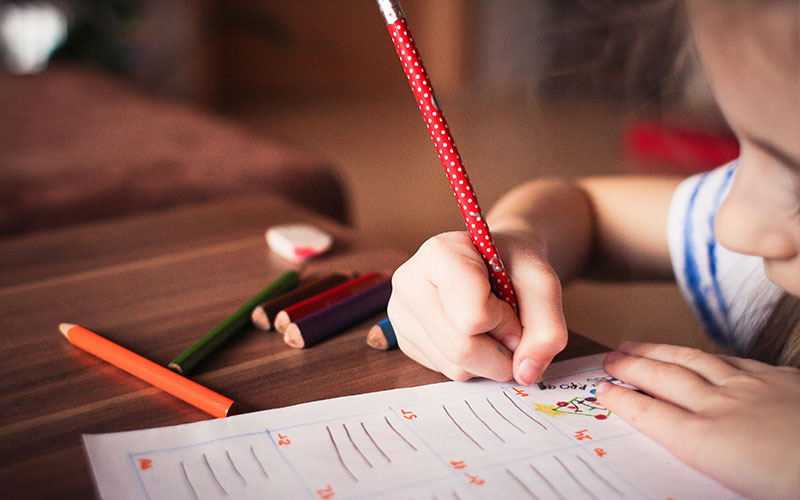 Repeat this process for each and every day of the settling-in period as the hours extend and the day gets longer, until eventually your child will be familiar with the full day at school and the daily routine. 2. Be aware of your and your child’s needs and emotions. Starting school is a big occasion, and it comes with big emotions. The key thing to remember is that every child is different and will deal with things in his or her own unique way, as will you as a parent. Rest assured that all the other parents with children starting school will be feeling the same things too! Ask your child how he is feeling about starting school. He might say that he is excited, or nervous, or maybe even not sure. Emotions are hard to label for young children who lack the vocabulary and life experiences, so it’s best to talk about feelings he may have in his body – for example, butterfly belly, jittery legs, or zingy. Acknowledge these feelings as being normal and assure your child that adults feel them too. Make this a point of discussion so that he is are aware that they are fluid and not permanent. One minute there might be butterflies; the next he might feel zingy with excitement. If you notice a change in your child’s behaviour in the lead-up to starting school, address it as soon as possible by having these discussions before things escalate. You may well feel tearful yourself on the first day, particularly when you leave your child at school for the first time. As a teacher on the inside of the door, I suggest that you try to avoid the sad tears while your child is still at your side. It’s fine for him to see people feeling upset, but full-on sobs will discourage him in so many ways. He will wonder why you are sad; he will start to feel sad; he will want to stay with you for comfort and to try to make you smile again. Join other parents at the gate or go with them to the local coffee shop so that you can be a support for each other. Bring tissues! The aim is to have as smooth a transition as possible and to avoid too much separation anxiety. I encourage you to read up on separation anxiety, if you don’t already know about it, before your child starts school. Not all children will be excited about this big step. Not all children will be happy to let you or their accompanying adult leave on the first day or the first few days. Not all children will follow the exact settling-in period set up by the school. This is all normal and has been seen by educators and schools many, many times. Schools should make allowances for children who need extra time to become familiar and comfortable with their new surroundings and with the adults at school. They are also aware that all children settle eventually. Promise! Do what feels right for your child, as you know her best. If you feel that she is really distressed, stay with her to provide comfort and reassurance. If you feel that she is causing a fuss to get a reaction, allow the school staff to step in while you make a swift exit. You won’t be judged in any situation. Please ask advice from the staff if you are unsure. Breathe deeply, be prepared for a bumpy road, and try to remain calm and in control. Children in the early years learn primarily through play. Your child will be playing – a lot! He will be learning vast amounts in a holistic manner, and he will be supported in his development as a unique child. It’s the foundation year, and it provides a solid base for the rest of your child’s life in and outside of school. Get on board with the fun, support him in his learning at home, and ask his teachers for support and guidance as many times as necessary. Trust me: they will appreciate that you are invested, interested and wanting to do the right thing for your child. Laura Moore is a teacher and an Early Years Specialist currently teaching full time in Reception. She is also a Certified Infant Massage Instructor. You can find out more about Laura’s work on Instagram @lauraloveslearning. Previous Post: « Would home education work for you and your family?